Corioleus Starfallen was taken off of local spacers at a very young age. He was found in his owners ship a week after they overdosed on spice. Reports say that the boy was alive, but emotionally unresponsive.The Jedi Knight, Arkadian, noted aptitude in the Force when they were both assaulted by ratworms who were infesting the ship. 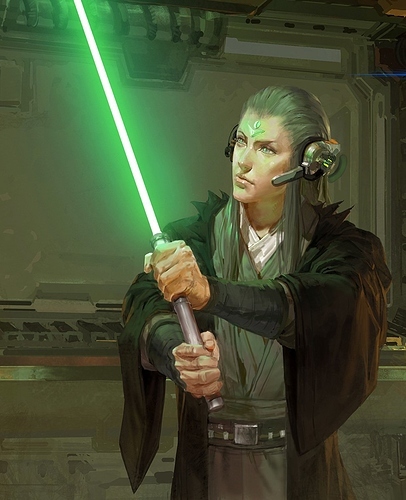 Corioleus was brought into the Jedi academy on Coruscant shortly after. He is noted to excel in light saber combat, but lacks in his control of the Force. No reports exist of bad behavior despite his apparent upbringing. Current Status: Dispatched to Viscara to finish his training. Would love to heard more about his history and how he got here before approval on this one.